According to the World Bank report, Iraq was ranked 156 out of 189 economies surveyed for ease of doing business, and languishes at 170 out of 175 in the corruption perceptions index as ranked by the Transparency International organisation. Furthermore, Iraq is considered to be one of the world’s wealthiest nations that brims with potential for years to come. Under Prime Minister Abadi the Iraqi Federal Government has gained unprecedented stability in recent times and is about to win the war against DAESH. Terrorism is however still a feature in day to day life for many Iraqis. 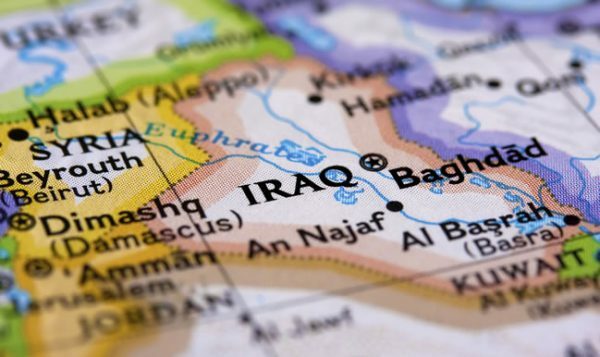 Coupled with the bureaucracies, poor governance, and the inconsistent manner in which regulations are interpreted and applied, Iraq represents a gloomy picture for a risk-averse investor. As for doing business and the practicalities of drawing up and enforcing contracts, Iraq’s commercial laws are outdated and mismatched with Western standards. Iraq is potentially one of the world’s wealthiest nations, with vast reserves of hydrocarbon wealth, a large population and a young demographic. On paper, however, Iraq has made significant legal and technical progress since 2003. Between 2004 and 2008, Iraq passed some 30 business/economic laws in wide-ranging areas including financial institutions, foreign investment, intellectual property, telecommunications and tax reform. Further, Iraq is probably the only country in the Middle East which has virtually no restrictions on foreign investment in virtually all economic sectors. Nonetheless, much more can be done to untangle Iraq’s economy. Looking at the big picture, a whole raft of wide-ranging new laws are needed for the oil, gas, power and telecommunications sectors. As expected, any major reform requires political will and is ordinarily stymied by political turmoil in Baghdad leaving draft laws sitting on civil servants’ desks instead of being considered by the Iraqi parliament. The IMF deal of 2016 coupled with other international loans has allowed Iraq to find a way out of its financial crisis which was both due to the dramatic fall in oil prices and the rising cost of the war against DAESH. The deal also means that International Oil Companies are being paid in time and that their supply chain can expand again. The Iraqi economy is emerging from its recent recession and is bound to recover high growth rates which it had been accustomed to in the years prior to 2014. This sums up the bad news! The good news is that Iraq is very much open for business, and there is unlimited goodwill towards Western investors. Moreover, the continuing fight against DAESH, which takes a sizable portion out of Iraq’s budget, over 90% of which comes from oil exports, coupled with the decline in oil prices (Iraq’s 2015 USD 105 Billion budget was based on forecasted oil prices at USD 56 per barrel), have increasingly made Iraqi regulators more receptive to reform. In addition to the vast proven oil reserves in the country, further massive revenues are sure to flow from Iraq’s gas industry, which is slowly but steadily developing. Furthermore, Iraq has not yet started mining rich mineral wealth beneath its deserts and mountains, including gold and platinum. This is a high-level snapshot of Iraq’s natural resources. 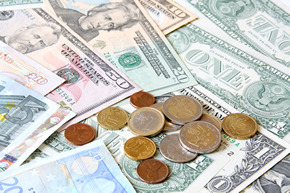 In the power sector large deals are being underwritten by UK Export Finance with reputable IBBC Members GE and Siemens. Untapped opportunities exist and will continue to do so for many years to come in almost every sector ranging from manufacturing, IT, telecommunications, and agriculture to retail (mainly in the semi-autonomous Kurdistan Region of Iraq, discussed below), health care, education, construction, banking and professional services. The Kurdistan Region of Iraq is a semi-autonomous region of Iraq with its own government (the Kurdistan Regional Government), agencies and court system. The Iraqi Federal laws continue to apply to the Kurdistan Region unless the Kurdistan Parliament has specifically introduced or amended the federal laws. Further, there are a few notable differences, and the application of the laws and practices within the two regions also differ significantly. More information on the Kurdistan Region can be obtained from www.krg.org and www.kurdistaninvestment.org. Harnessing Iraq’s natural resources means there is room for both the Iraqi Government and the Kurdistan Regional Government to invest billions on reconstruction efforts, the scale of which is unprecedented in the world’s history. Jaw-dropping amounts are being poured into rebuilding the oil and gas industries, including thousands of kilometres of new pipelines and state of the art loading facilities for super tankers. There are plans for millions of new homes, development blocks, schools, hospitals, power plants, highways, railways, sewage and ports. Note: The information contained on this website is intended as a guide only. Whilst the information this website contains is believed to be correct, it is not a substitute for appropriate legal or tax advice. Eversheds, EY, and the IBBC or any of their partners, affiliates or members take no responsibility for actions taken based on the information contained in this website and the above websites.